On 21 and 22 March 2019, the Culture Action Europe (CAE) Members Forum took place in Brussels. In view of the European elections, the members exchanged their regional implementations of the CAE European Election Campaign. 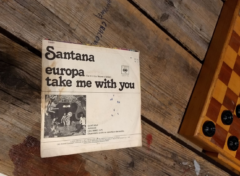 The common goal is the best possible positioning of cultural interests in a new EU Parliament from the second half of 2019 on. • Freedom of expression and cultural rights, with the elaboration of the legal framework at national levels as well as corresponding regulations at EU level. • Artistic and cultural research, in particular the so-called STEAM Practices, which stand for Science, Technology, Engineering, Arts and Mathematics, and put the added value of today’s artistic practices in research and development forward. EP Elections: For Fundamental Role of Culture! The Culture Action Europe EP Elections 2019 Campaign aims to foster a stronger recognition of the cultural dimension of the European Union and culture’s contribution to Europe. Cultural and creative sectors advocate for the culture and Europe that is democratic, diverse, fair, free, human, inclusive and vital. The Campaign gives voters the ability to make an informed decision about the role of culture in the political party programmes and to encourage voters to make their voice heard. 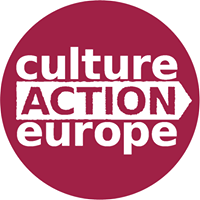 Read the Culture Action Europe appeal in full here and take a look to a list of questions to candidates and programmes. This mapping offers an in-depth overview of the performing arts scene in Germany – its historical foundations which still dominate today’s structure, the key players in the contemporary field, the relevant festivals and venues, and more. The European Secretariat of German Culture NGOs organizes a CAE German Hub meeting on 7th and 8th of November in Berlin. Representatives from Germany based CAE member organizations, experts and culture politicians will discuss with CAE Secretary General Tere Badia the CAE Appeal for the European Elections 2019, fresh outcomes from the BTO-conference in Bucharest and cultural perspectives to the German EU presidency 2020.